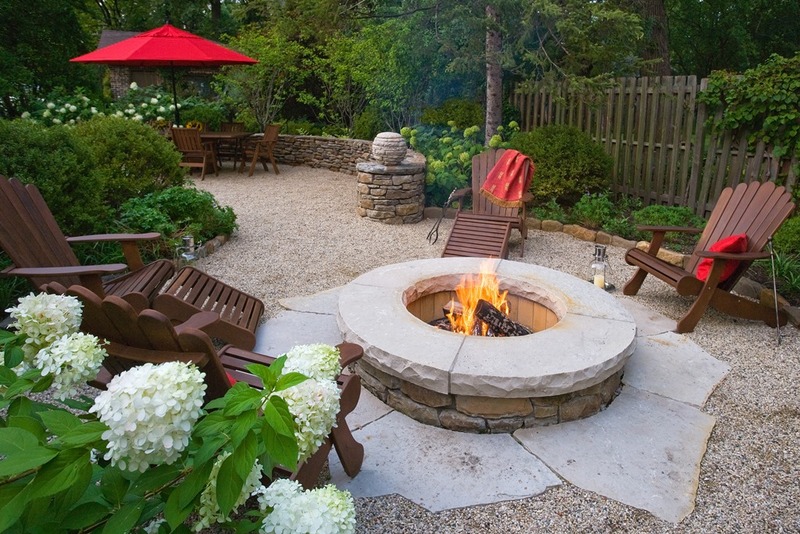 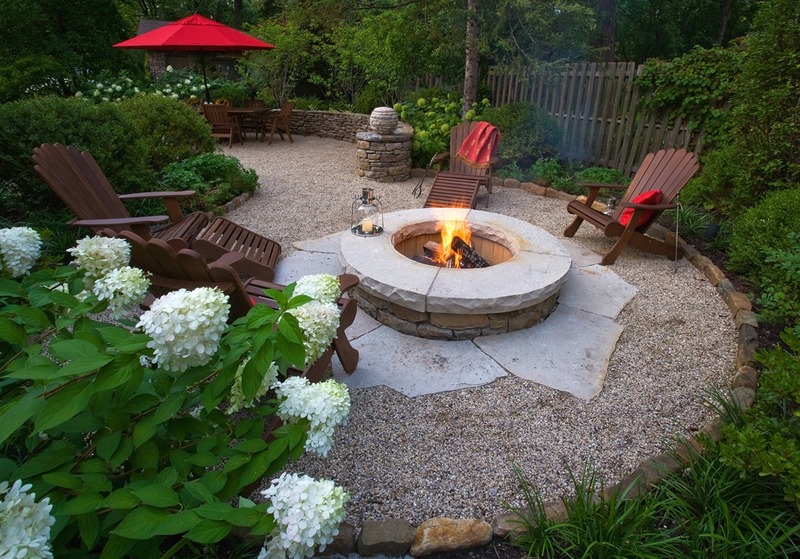 Because of its relatively small size, this space was designed to enhance the cozy feel with a warm fire feature as the focal point. 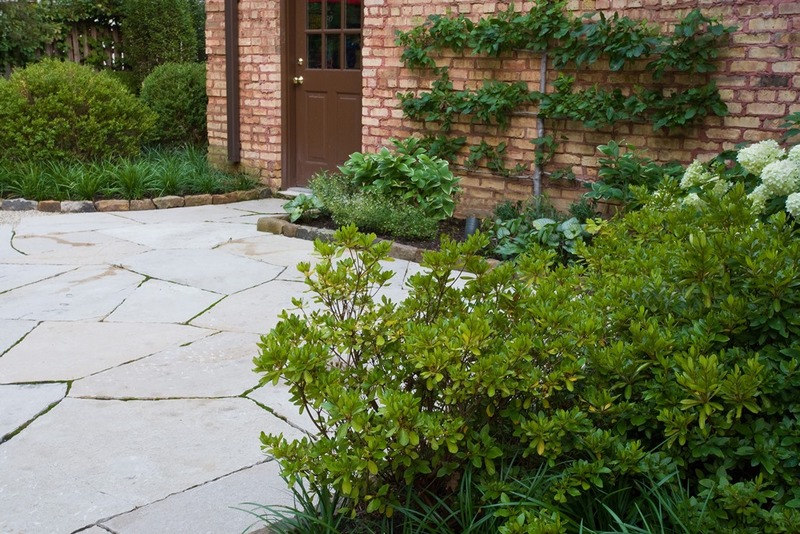 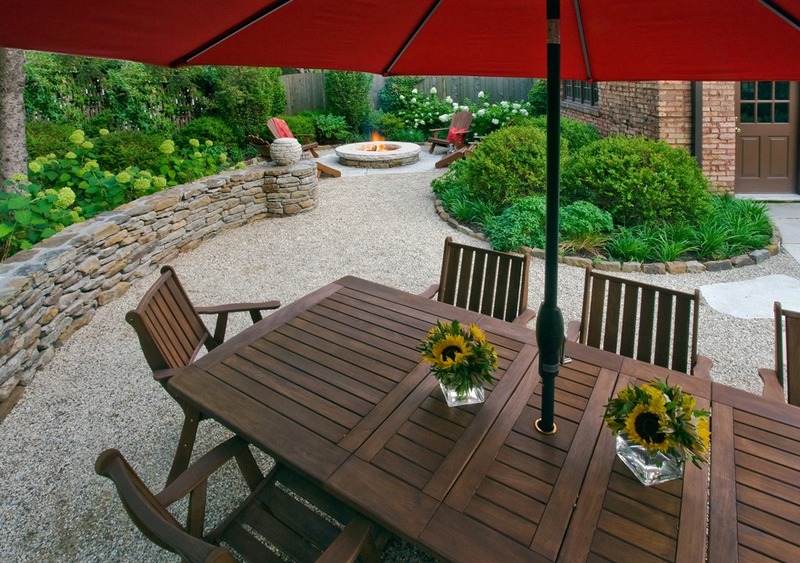 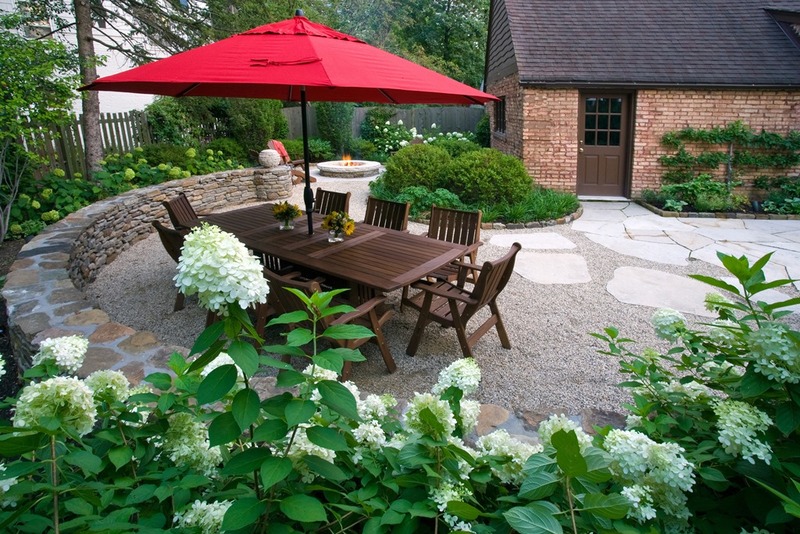 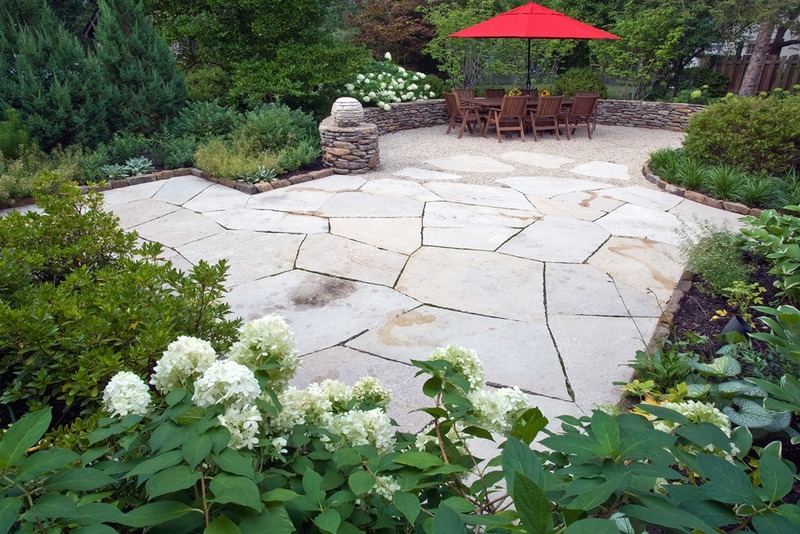 This intimate patio space was surrounded by shrubs for added privacy. 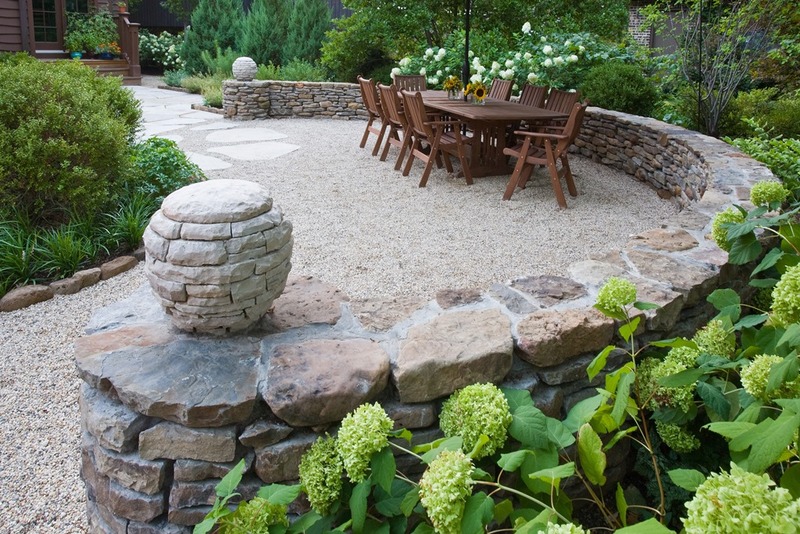 Plantings of green were layered to add texture and compliment the curvilinear lines surrounding the dining and sitting areas.